Last weekend we headed up to Unicoi State Park near Helen, Georgia where we did some hiking, listened to mountain music and made s'mores. Yum! We hope you have plans for some fun activities this weekend! 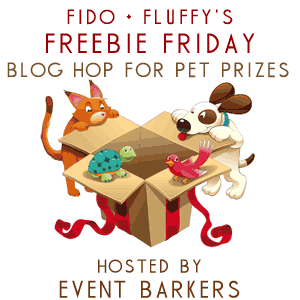 In the meantime, check out all the goodies in the Fido's Freebie Friday giveaways listed below. I am typically to running a blog and i really admire your content. The article has actually peaks my interest. I am going to bookmark your site and maintain checking for brand new information. If you like the famous Friv games and you want to have fun you can diviértete jugando con friv when you want, it's free! Thanks!